There are some amazing companies revamping Tape’s image. No longer does tape have to play second fiddle, shadowed by paper’s beauty and decorative versatility! 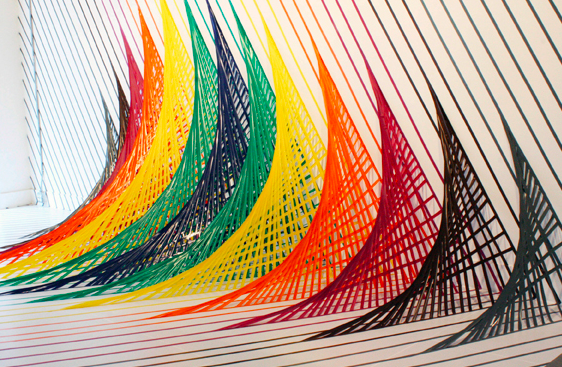 First, to be inspired, click here to see Rebecca Ward’s tape installations. Below are product examples! Click on the individual tapes for their sources. 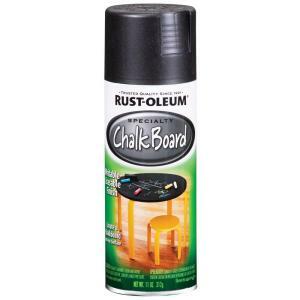 Below, I will list some of the more creative uses for “chalkboard” influenced paint and other fun products. HOW cool is this!? Recently, the DIY Network renovated a kitchen in a similar manner to what is pictured below with magnetic paint. By priming your wall space with it, you can accessorize with cute magnets to truly make use of the space! Invite chalk artist Dana Tanamachi to decorate your newly scribble-able walls with her unique style. 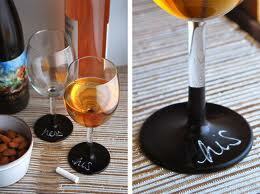 Here’s another great DIY using old wine glasses to identify dinner party guests. These containers come assembled and are perfect for cereal, rice, baking products, rubber bands… you get the idea 🙂 These cups are perfect for a forgetful husband or the tired mother who deserves an “I love you” upon waking… or just for some doodling on a fun, new surface As a good host knows, one should always try to switch up courses, which goes for cheese as well! To label your choice of fruit and cheese, I give you the cheese plate! My sister was decorating her apartment on a DIY budget and found this wall decal. We used it to write notes or affirmations to one another and to welcome people to parties when hosting guests; and the best part, No Holes in the Wall!! We are still renting 🙂 Adorable for children’s rooms without having to buy and store a huge physical chalkboard… reminiscent of school days passed. & ice cream Perhaps the cutest idea of the bunch, and great for mix and match decor! Sometimes writing on the wall can become tiresome. So, for playtime, a fun alternative idea is to use the craft table (shown below) for crafts and coloring. 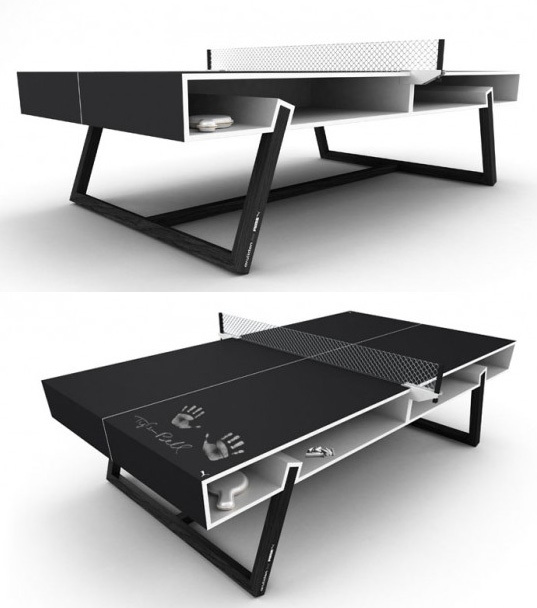 As far as the older kids go, what could be better than this designer ping pong table for a mere $3k? Oh yes… a DIY version on whatever table you find at the nearest Costco, BJ’s, etc. 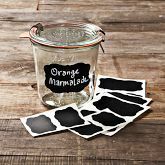 Now that we’ve got your kids hooked on their chalk boards, they will need one when on-the-go! The designer of these boards uses a variety of fabric to match the board with its owner’s personality. It’s the perfectly versatile coloring book / sketchpad for restaurants, waiting rooms, and anywhere else your kids’ attention may need to be occupied. As for a last minute tip: always wet the end of chalk before using it to get the cleanest lines. Additionally, there are chalk markers that come in a wide range of colors that leave less mess! Finally, a GREAT DIY idea for gifting, storing, or recycling other products!